The 2016 Honda Accord looks to continue a nearly 40-year trend as one of the most stylish, reliable, and safety-driven vehicles on the road. The Accord was first introduced by Honda in 1976 and hit the U.S market 13 years later in 1989, and to this day it remains one of the most popular cars sold around the world. Celebrate the 40th anniversary of the game-changing addition into the Honda family, at Freeman Honda in Dallas, TX, where we serve Irving, Richardson, Arlington, Grand Prairie, Garland, and Mesquite, TX. When you come down, ask our friendly representatives for a test drive and experience the all- Honda Accord for yourself. Freeman Honda looks forward to serving you. We’ll be the ones with a warm smile and a friendly handshake. The 2016 Honda Accord received a few quality upgrades for the newest version of the vehicle. It received a more stylish exterior with new LED taillights, sleeker and more pronounced curves, to go along with an upgraded suspension tuning and enhanced interior experience with Apple CarPlay and Android Auto being incorporated into some trims. Overall the 2016 Honda Accord continues to handle perfectly on the road and will probably turn heads with an improved grille, front and rear fascia, and LED fog and tail lights. Overall the Honda Accord comes in a whopping six trims that will provide nothing with uniqueness and endless options for one of the most popular cars on the road. 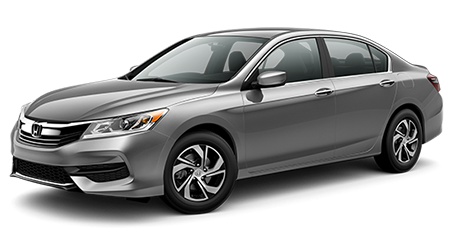 The LX version of the Accord begins with a 185-hp, 2.4-liter, 16-valve, DOHC iVTEC 4-cylinder engine with direct injection, 16-inch alloy wheels, and integrated LED taillights with light bars. While the top flight Touring version comes with Honda sensing, 19-inch alloy wheels, heated outboard rear seats and rain-sensing windshield wipers among other things. Test Drive the 2016 Honda Accord in Dallas, TX Today! When you are ready to test drive one of the best sedans on the road, the 2016 Honda Accord will be ready and waiting at Freeman Honda, where we pride ourselves in producing a world-class car-buying experience for all our customers. We employ some of the friends and most knowledge Honda salespeople in the Texas area we proudly serve Irving, Richardson, Arlington, Grand Prairie, Garland, and Mesquite, TX with a friendly smile and great attitude. Visit us at 39680 Lyndon B Johnson Freeway or give us a call at (214) 800-6500 to get behind the wheel of a 2016 Honda Accord today!